To ensure our guests’ comfort and convenience, each room features fully furnished interiors, bedside consoles to control lighting, remote-controlled televisions with cable programs and personal toiletries. The room has a view of the Dhauladhar mountain with outdoor seating, with green German grass lawns. 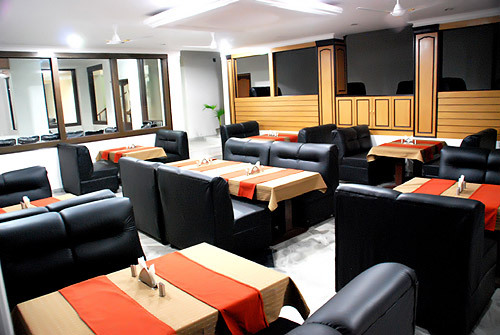 The Restaurant, offers fine dining experience including Indian, Chinese & Mughlai cuisines. In addition to this, buffet facility is also available in the restaurant. Lush Green Lawn & Garden, Sprawling lawn & garden with green German grass, can accommodate upto 1000 guests for outdoor functions and parties. Banquet Hall, The banquet hall is designed to accommodate as many as 500 people at a time. With it's elegant and luxurious decor, it presents a perfect venue for business meetings, conferences, kitty parties and marriages. Solar System, Every suites and rooms have 24 hrs running hot water power by our solar system installed for uninterrupted warm water supply. Other services, such as ample and spacious campus vehicle parking, Driver's dometry, Laundry services, Doctor on call, Indoor and Outdoor games for children, Bon-fire on request etc. Games and Amusement park for Children, One can play outdoor games such as Cricket, Badminton etc in the lush green lawns. 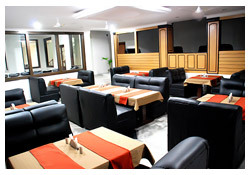 We have indoor games such as Chess, Table Tennis and Carrom. For children we have a amusement park with slides, sea saw and swings. Trek to Slate Mines, We conduct on your request, a small trek to the nearby slate mines of Khanyara and Aghanjar Mahadev temple by the river streams. 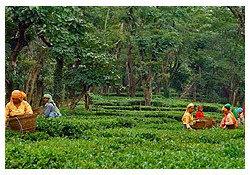 Trek to Team Gardens, We conduct on your request, trek to the Tea Gardens in Kandi village. 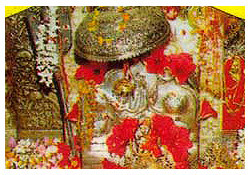 The unique part of this trek is to see Goddess Feti Mata in a split rock. 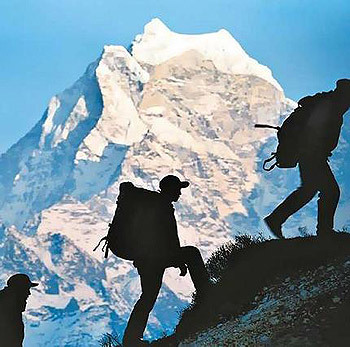 Trek to Indrunag, through the local village and sightseeing of the forests. 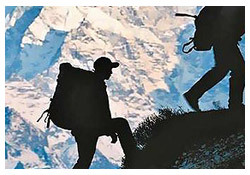 Trek to Triund, We can arrange your trek to Triund & Illaqua near Mcleodganj where you can see the huge Dhauladhar ranges and feel the chill of the snow. 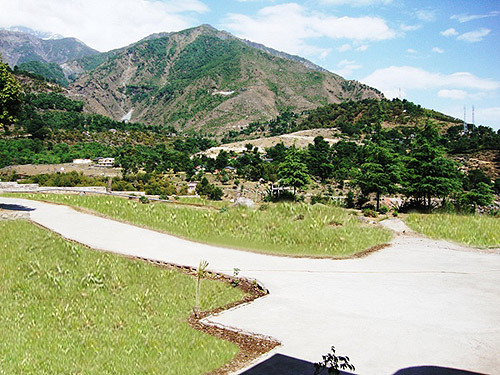 Visit to the green Tea gardens of Palampur, en route visit the Gopalpur Animal Zoo and Shree Chamunda Mata darshan. Coffee at Neugal Khad & cafe, then visit Andretta Shoba Singh Art Gallery. The tour can be extended to see Bir Billing - the venue for International Paragliding Pre World cup and till Baijnath to visit the temple of Mahakal Shiva, famous for the meditation of Ravana to impress Lord Shiva. 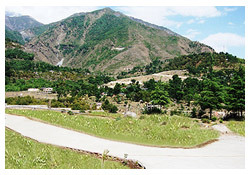 This tour is designed suitably to see all the places of Dharamshala in one day. The tour starts from Norbulinga Institute, The Gyuto monastry, enroute see the the newly constructed International Cricket Stadium, The War Memorial, Kunal Pathri temple, Kangra Art Museum, Mcleodganj Buddha temple of His Holiness The Dalai Lama, a stroll of the Mcleodganj Market, Bhagsu temple and Bhagsu water fall. In the evening move towards Naddi, enroute visit the sacred dal lake. An evening Tea and sunset at Naddi. A full day tour to the largest manmade wet land reservior famous for water sports and home of millions of Migratory birds that flock this water reservior in the winter seasons. 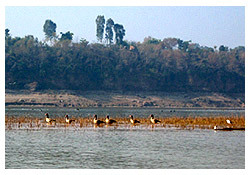 This place is also known for the ancient monolithic temple of Pandavas.